Project: Kill is an ultra-obscure action movie from William Girdler, the horror and exploitation filmmaker who also directed the Pam Grier vehicle Sheba, Baby and Grizzly, the latter of which essentially depicts a bear operating as a slasher killer. 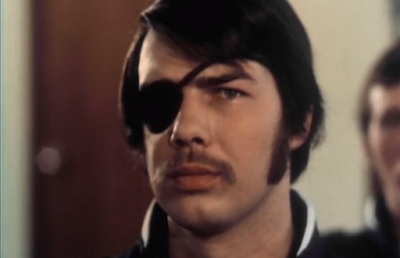 I talked about the latter movie earlier in this series on the films of 1976, and I’ve developed an appreciation for Girdler and his unique brand of low-budget craziness. 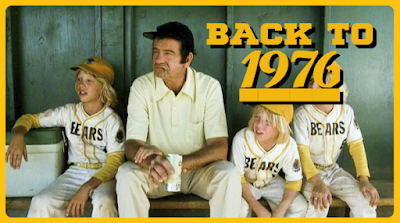 The filmmaker made nine movies during a five year period in the 1970s before his career was cut tragically short when he perished in a helicopter crash in 1977 at the age of thirty. His films, while not necessarily “good,” exhibit qualities that I really enjoy and appreciate. So it was that I was drawn to Project: Kill, a movie that has a fun premise, but seems to fail in execution. I usually try not to belabor plot, but in the case of a movie like this, plot is really the main thing this flick as going for it. 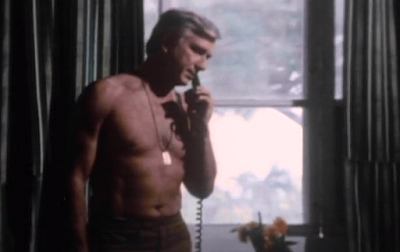 Leslie Nielsen, in a non-comedic role, is the commander of a group of military elite. In an expository scene, Nielsen explains that these soldiers are the best of the best; they are not simply exceptional because of their training, but because they take injections that expand their brain power, make their bodies stronger, and enable them to be even more deadly. They exist to be the most efficient soldiers. But all is not as it appears. Nielsen, who has been taking the injections himself, has learned that his soldiers are not being used to defend truth, justice, and liberty, but as assassins who covertly take out the enemies of America. The movie essentially opens with him learning the truth and going rogue. He stops taking his body-altering serum and flees the military base, eventually joining two other jaded, ex-military men in Manila, The Philippines. Plagued by horrible serum withdrawals, Nielsen knows that there will be consequences for his actions, and the organization that he betrayed will be coming for him. They send his second in command, played by Gary Lockwood (2001: a Space Odyssey and the second pilot episode of the original Star Trek) to either bring him back or kill him if all other options fail. Complicating the matter is an Asian criminal organization that wants Nielsen for themselves so that they can exploit the soldier serum for their own use. In the hands of an experienced Hollywood director with a fair budget, this would be a thriller along the lines of The Bourne Identity. For better or for worse, Project: Kill is not that movie. There are a lot of things working against this movie, but I want to highlight the things that work before I get too critical. Leslie Nielsen isn’t exactly charismatic in this role, but it’s nice to see him flexing his dramatic muscles. After all, this is the guy who portrayed the heroic Commander Adams in the 1956 sci-fi classic Forbidden Planet and was a serious player in just about every notable dramatic television series of the fifties and sixties. Yet modern audiences will most likely only remember him as Frank Drebin from The Naked Gun and its sequels and for his comedic turn in the spoof classic Airplane!. Sometimes I talk about cinematic legacy and the responsibility that actors have in the preservation of their life’s work. Leslie Nielsen seems to represent an actor who had a dramatic career for decades and then reinvented himself as the straight man in comedy franchises, probably out of necessity. Nevertheless, his legacy, at least in the eyes of many, is his comedy, not the drama. Project: Kill is a welcome reminder of Nielsen’s other career. Even though Nielsen doesn’t set the screen on fire, he’s astonishingly capable of the demands this action movie place upon him. He was fifty years old in this movie, hair already almost completely silver. Yet he’s surprisingly built, and in at least one scene, displays not a keg, but a full six pack of abs. Similarly, Gary Lockwood is no body builder, but he seems solid and capable of “man stuff” like punching, kicking, and whatever physical trials his character must endure. It’s interesting to see more realistic portrayals of masculinity in a movie like this, which is essentially a precursor to so many action films that would soon cast musclemen like Schwarzenegger, Stallone, and Van Damme. Before the rise of the giants, our movie heroes looked an awful lot like us. I also really dig the whole vibe of this movie. What at first appears to be a routine low-budget affair that could have played on TV as the Sunday night movie quickly becomes an insane show of force (at least by 1976 standards) with shotgun blasts to the stomach, slit throats, and broken beer bottles to the face. It never goes quite as nuts as we’d like, and we don’t always buy that Nielsen, even in his great condition, could take on multiple assailants at the same time, but it doesn’t require too much suspension of disbelief. 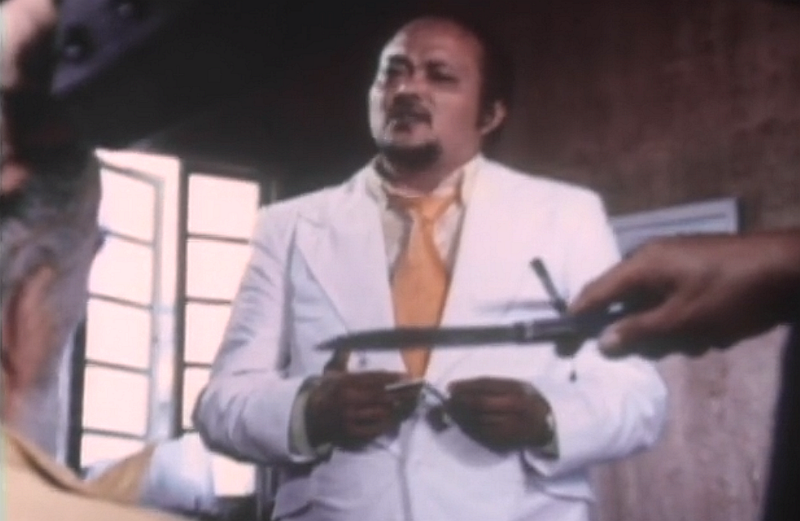 Also, the Philippines add a ton of production value, appearing both beautiful and dangerous (which is how I was described in my high school yearbook). Now, unfortunately, we must come back to Earth. As cool as this movie sounds in premise, the execution just isn’t there. There’s a reason that William Girdler was able to shoot, edit, and release two films each year for most of his short career. This movie looks cheap because it is cheap. Grizzly, which hit theaters (or drive-in screens) about five months before this film, has a presentation that is miles better than Project: Kill. The movie was shot in 1.33:1 aspect (full screen) with the intention of being matted for a 1.85:1 display, which means that there’s not a lot of scope to the picture, which adds to the TV movie comparisons. Furthermore, since this movie seems to have slipped into the public domain (or maybe was always there), every home video version looks atrocious. As far as I know, there has never been a legitimate, studio-quality release, meaning every DVD version and even the streaming version on Amazon Prime Video looks washed out and soft, like someone pointed an old Camcorder at a 16mm presentation. Not all the deficiencies are technical, either. Pacing is awful, with some scenes ending abruptly like the reel simply ran out of film. The big exposition scene that opens the movie is horribly slow and is a textbook example of how NOT to begin a film. Though we’ll eventually get to see crazy action in The Philippines, we begin in what looks like a high school classroom, and we’re stuck inside these gray walls for the first ten minutes of the story. When we finally break free and the action starts (possibly a deliberately claustrophobic choice by Girdler), things expand quickly, meaning that if you can survive the first 10 or 15 minutes of this movie, the rest will feel like a thrill ride. Aside from Nielsen’s serviceable performance and Gary Lockwood’s steely-eyed pursuit, no one else really has all that much to do. Filipino exploitation star Vic Diaz is the main thug of the film, and he’s great when he’s allowed to be, which isn’t often enough. There are a couple of actresses in the movie, including Nancy Kwan (who won a Golden Globe for 1960’s The World of Suzie Wong), but her role serves as little more than a diversion for Nielsen. Sometimes it seems like the script at least tries to give her something akin to depth, but this movie has little time for character. The other notable actress in the film (Pamela Parsons, who only ever appeared in one other movie) fares much, much worse. But still…I like this movie. It’s possible to look at a movie like Project: Kill and see all the things that don’t work and yet still be kind of impressed by the cojones of the thing. And while this is no lost exploitation classic, it does seem somehow criminal that one of the many boutique labels that rescue forgotten genre flicks haven’t scooped it up, restored it from a 35mm print (which is how it was shot), and given it a new lease on life among cinephiles and exploitation enthusiasts. 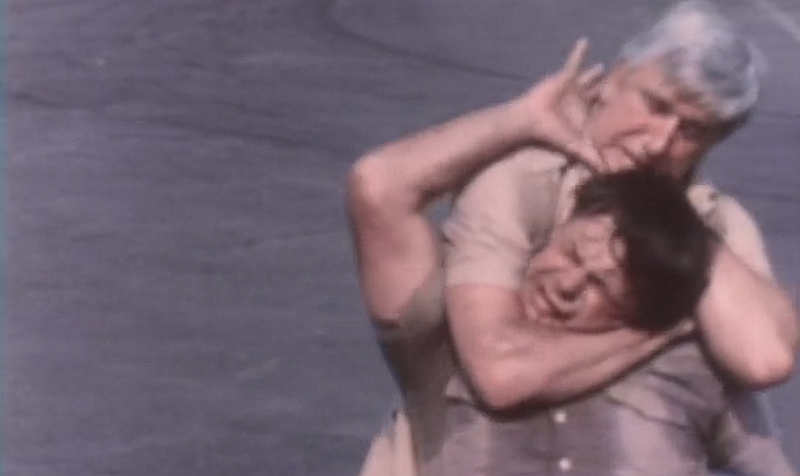 The movie is worth watching alone just to see a fifty-year-old Leslie Nielsen as a silver-haired action star. Project: Kill has so many elements of better movies that would come after it. It’s got a Robert Ludlum vibe at times, with a used-up government tool fighting for his own survival. It’s got the whole 80s action thing, too, as this one guy takes on everyone that comes after him. Finally, it even hints at the Captain America story, with a super soldier serum designed to turn good soldiers into superhuman machines. Unfortunately, William Girdler seems to wrestle with balancing all these interesting elements with limited budget, equipment, and skill. Therefore we can only appreciate it for what might have been, and this becomes a movie that is best remembered as an interesting -- yet flawed -- footnote in the short history of a young man who might have done some very wonderful things if he’d had a little more time on Earth.